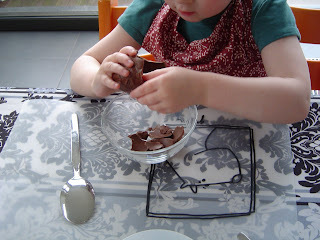 Little Home on The Hill: Can there ever be too much chocolate? After filling our basket at home, Easter egg hunting at generous grandparents houses and even my granny keeping the tradition going on, we come pretty close to it. It will take forever, or at least till the next holidays, for this chocolate to be eaten. Have you recovered from your Easter egg chocolate overdose yet? 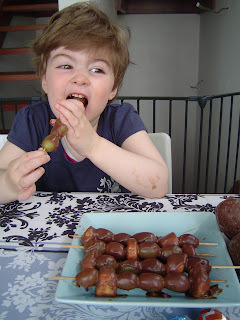 Here is a fun way to use up any left overs, great to make with the kids: Sticky chocolate grapes. 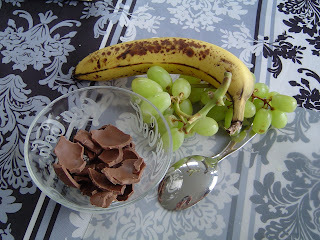 Chop up pieces of the chocolate into a bowl. 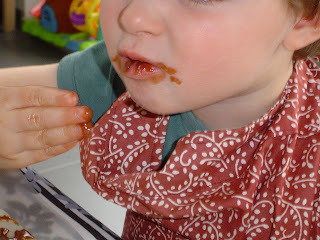 For melting the chocolate you can use a microwave. 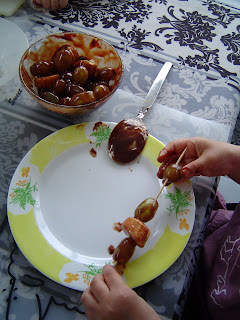 Add some milk and the paste is ready for dipping the grapes into it. 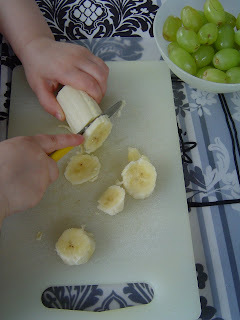 As you can see, we used slices bananas too. 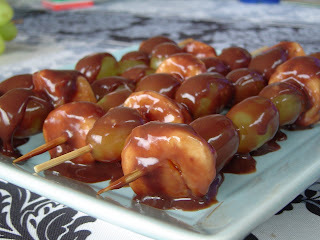 Arrange fruit on wooden skewers. Let cool a moment in the fridge. 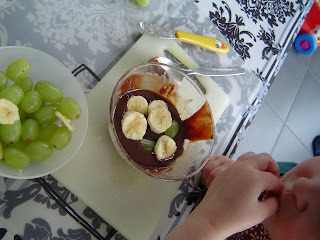 that looks so so so tasty!